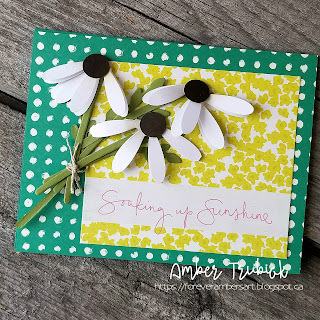 Inspired By - Spring Sunshine! 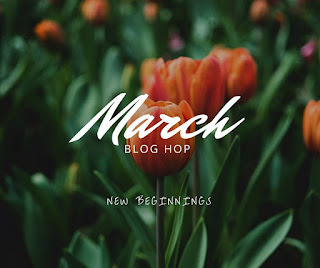 This week we have an amazing inspiration cue for you - who DOESN'T need some spring sunshine!? a journalling card I had in my stash - the colors just seems to shout "SPRING!" and they really fit in with the cue card!! Now let's see what you can do - how does the cue card inspire you?? 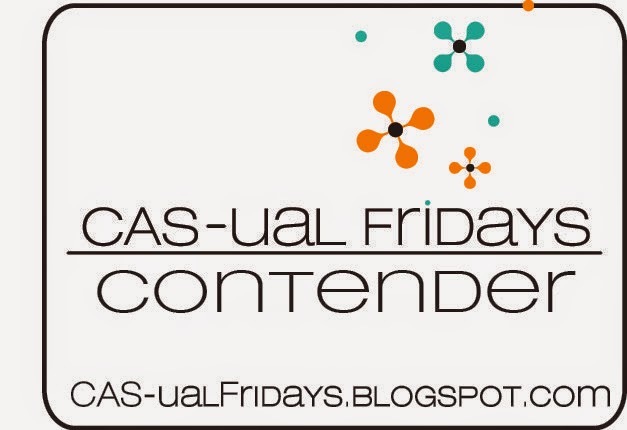 Play along with us and link up to your challenge! And be sure to leave some love to let me know you stopped by! I LOVE new stamp goodies - who doesn't love when happy mail arrives full of new toys to play with? 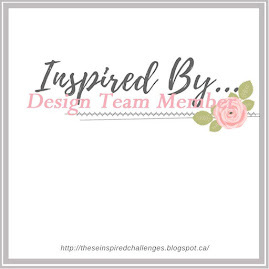 But this week for our Paper Craft Crew challenge - I wanted to revisit some of the current items that are still fabulous - but we seem to have forgotten about once someone dangles that new shiny stuff in front of us. 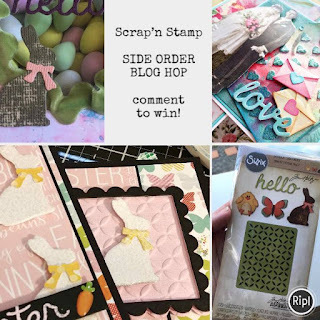 In just a few short months there will be a whole NEW catalog from Stampin Up! 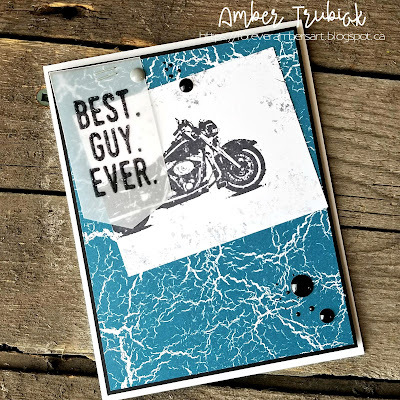 I used Stampin Up's Suite Sentiments and One Wild Ride - to date it is still one of my favourite masculine stamp sets from SU - EVER! I dug out my Color Theory DSP and layered it on a Basic Black CS layer and a Whisper White base. Yup - I kept this card simple... the sentiment was stamped in Versamark and little mix of black embossing powder and heat embossed. Hello dear friends! Welcome to another edition of the Stamp Ink Paper challenge! When I saw this challenge theme, I had SO many ideas running through my head but I finally decided on using a new stamp set that I got this week! 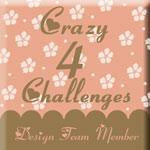 I had to get in just one more order of Stampin Up goodies before Saleabration ended! Happy Saturday! It feels like it has been FORVER since the Scrap n' Stamp gang has done a Hop - but HERE WE ARE!! I couldn't wait to play with my Tim Holtz Side Order when it arrived! These little sets are THE BEST for creating anything from a simple card (like my design for the Hop) or fabulous multi-media projects like the wicked-awesome projects our talented crew made for you! Be sure to stop in and leave some love at every stop along the Hop - we are giving away some Side Orders! Good morning! 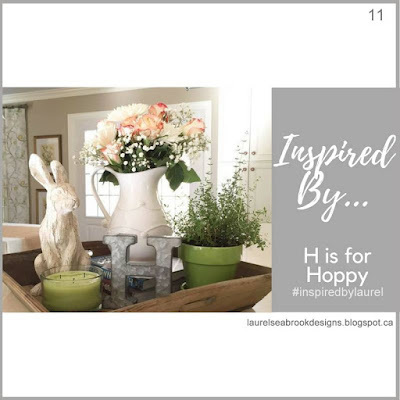 Today we have some spring inspiration for you with the Inspired By challenge! I decided to keep it simple this week and design and keep my layers to a minimum. My watercolor front was first inked up with a Unity stamp set called Only You - I used Versamark and heat embossed with white embossing powder. My color splashes were SU's Bermuda Bay, Daffodil Delight, and Perfect Plum - it was as simple as using an Aqua Painter to the ink pad! Finally, the sentiment from Unity's kit was inked up with Staz-On... that black just won't run! 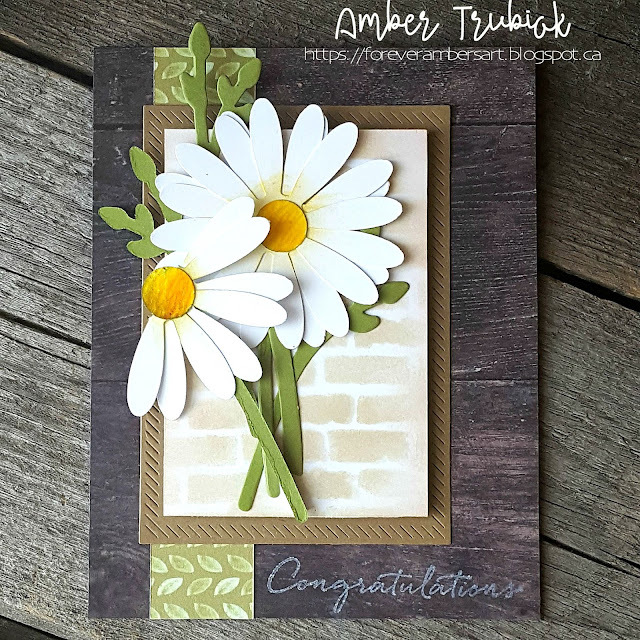 A few tiny Nuvo drops and some water drop beads from Pretty Pink Posh and this soft n' sweet card was finished! Be sure to check out all of the talented Design Team member's cards - everyone put a totally different spin on the colors this week - these unique cards will get your creative juices flowing! 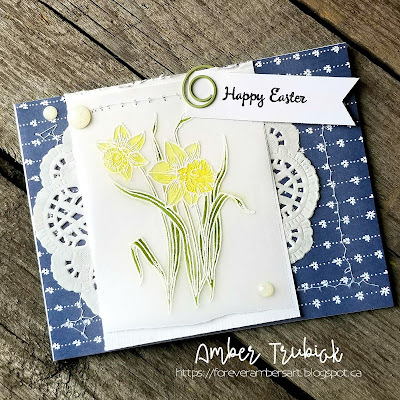 Stamp Ink Paper #142 - Color Challenge! I wish it was - this week over in my "real life", I feel like I am spinning my wheels - I work as a bookkeeper, and Income Tax season is in full swing!! Serenity NOW! 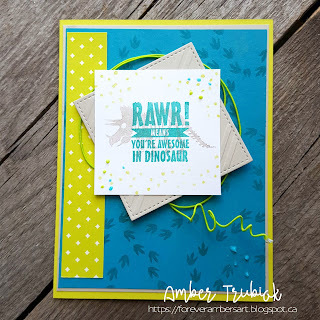 This week's Stamp Ink Paper challenge is an easy one! We have a color challenge for you and it is SO fun and bright - you will have a blast with this! 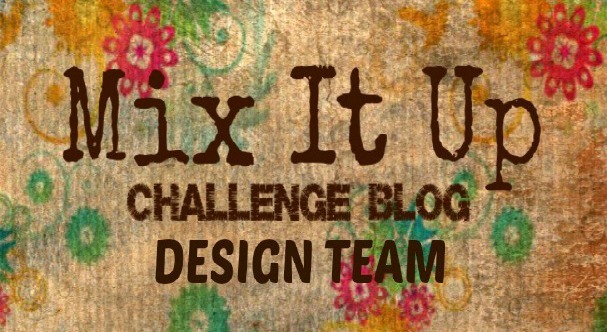 Thanks for stopping by for all the details - and be sure to go to our challenge link and show off your creations!! Click on the image to whisk you over there! 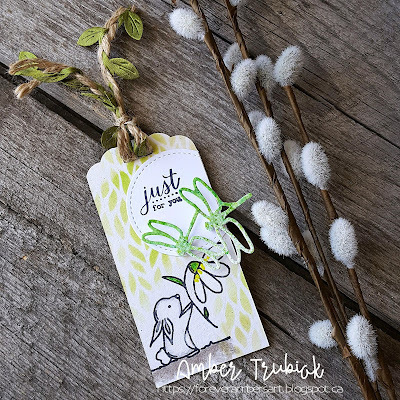 I used a fun little stamp set from Simon Says Stamp - called "Some Bunny" and all of the paper pieces I used in my design were paper scraps from my desk - every thing from Stampin Up to Echo Park. :) I used and unbranded oval die to create that "egg" layer. I think my little grandson, Knox will be getting this card as part of his Easter surprise. He deserves a sweet little treat! 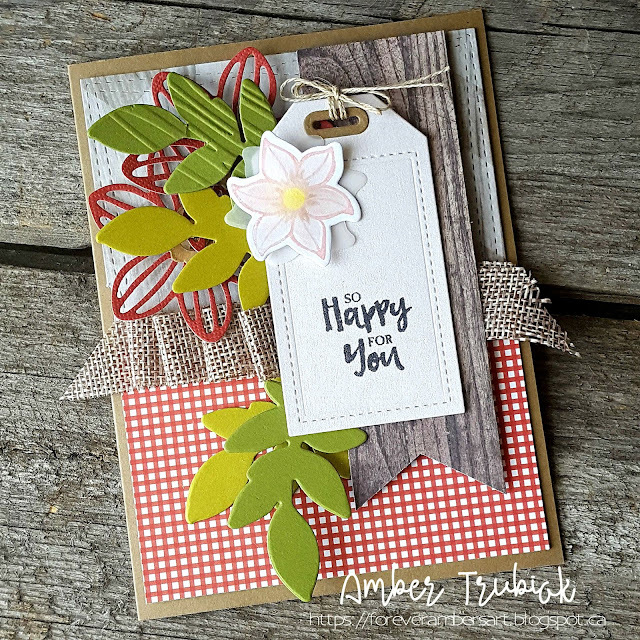 The tag was created using a My Favourite Things tag die - the shimmery paper has been stamped using SU's Beautiful You stamp set! I also used the Woodgrain Texture paper with a piece of fun red checked paper from SEI and a piece of Chevron woodman paper from CTMH's Fundamentals kit. That burlap trim was in my stash and sadly... it was the last of it. I really wish I could find more! Want the details? Here are the goodies I used! Sunday Funday - today was a day to play! Heavenly! I didn't even get dressed today! It was glorious! To be able to stay in my comfy p.j's all day was a total treat - and while I would love to say I got to craft the day away in my studio, I found some balance with a bit of chores like laundry, mopping floors, and dusting. 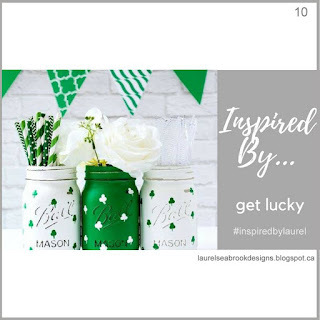 Inspired By - Get Lucky! This week has been a DOOZY! We have had storms brewing - wind and snow - just a typical day here on the Prairies! It has got to end soon, I just know it! Here's our cue card.... and my fun little project! I used a fun little sticker that Laurel Seabrook sent me - I literally attached it to a piece of luscious green scrap paper on my desk from an earlier project (see?! Never throw ANYTHING away! 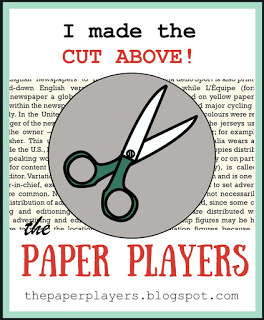 haha) I also had a scrap of some fun Little Yellow Bicycle paper in the bottom of my scrap bin! My little pot of gold was created using Stampin Up! 's Curvy Keepsake die - punched a circle out and adhered some clear acetate to create the window and show-off those yummy treats! I used a heart punch for the sweet little shamrock! Easy-peasy! Now it's your turn - I hope our cue card inspires you to make some crafty goodness! 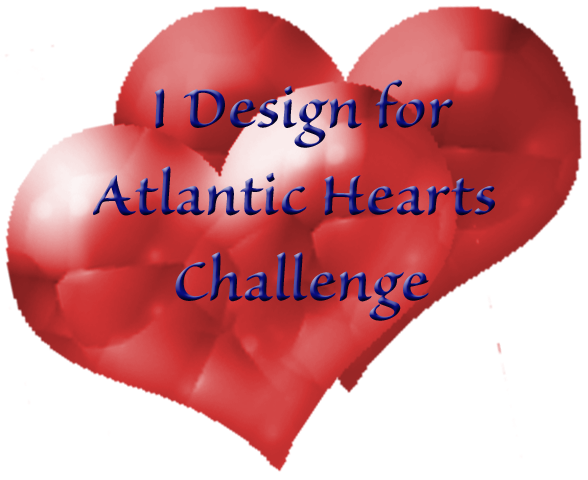 Be sure to link it up to our challenge! We have made it to Wednesday! 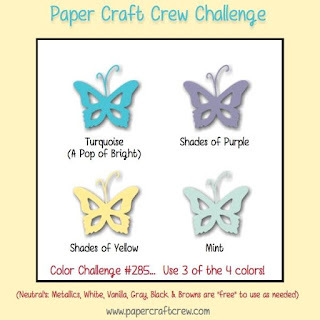 Welcome to another Paper Craft Crew challenge! Thank you so much for stopping by today! I can't wait to see what you create with this sketch! Click on the image to go to the PCC challenge! Hello again, friends! It is Tuesday - and this week - over at Stamp Ink Paper we are dedicating this to our four-legged friends! This was alot of fun - because I love my doggies - and I have a new puppy in the house! 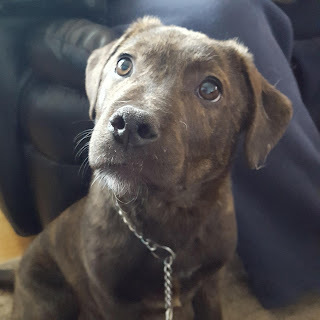 Meet little Miss Ruckus! This sweet little rescue is slowly working her way into our older dog's heart. Chaos (who also lives up to his name) is beginning to warm up to this little gem. In time I am sure they will become BEST PALS. Stamp Ink Paper has some awesome weekly challenges! 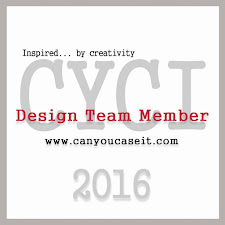 Go to their page HERE! Thanks for stopping by! The sentiment kits are always fabulous - check this one outHERE!